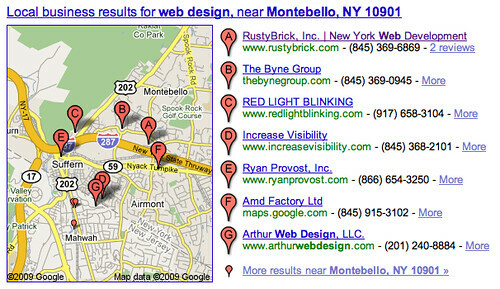 The local SEMs are buzzing about how Google dropped three listings from the local space in the Google search results. Now, instead of showing the "ten pack" of ten local search results pulled from Google Maps on the Google web search results, Google is now showing the "seven pack." Yes, instead of A through J, we are getting A through G results. We have threads on the topic at Google Maps Help, Cre8asite Forums and WebmasterWorld.